Today Robyn Kahukiwa is continuing her sought after series of large scale prints in small editions with the latest release, Kahukura. Robyn says about this new print (shown here below, right) that "this 10 colour screenprint printed on Fabriano Artistico [watercolour paper that is double-sized 100% cotton and acid-free ] is part of a Native NZ series I have been painting for the last few years. Kahukura is the Maori name of the red admiral butterfly, and the Maori woman is shown with a kauwae or facial tattoo". There are only 30 prints in this edition which is being released today. Kahukiwa is a contemporary Maori artist of Ngati Porou, Te Aitanga-a-Hauiti, Ngati Hau, Ngati Konohi and Whanau-a-Ruataupare descent. The background notes for a recent exhibtion at Dunedin's Hocken Library describe her beginning painting in 1967 as a young housebound mother in Greymouth. Kahukiwa's early influences included Paul Gauguin, Colin McCahon, and later, Frida Kahlo, but her individual style developed entirely without formal training. 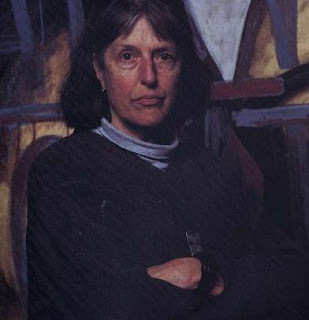 Much of her artwork is familiar to most New Zealanders from posters and books as well as her paintings in major art gallery collections throughout NZ. Kahukiwa wrote and illustrated children's books such as Taniwha (1986), Paikea (1993), The Koroua and the Mauri Stone (1994) and Kehua (1996). In collaboration with writer Patricia Grace, she produced The Kuia and the Spider (1981) Watercress Tuna and the Children of Champion Street (1981), and Wahine Toa: Women in Maori Myth (1984). The curator of the Hocken exhibition wrote that "The importance of Maori knowing their whakapapa (ancestral lineage) is a dominant thread in Kahukiwa's work. She seeks to overlay the sense of disenfranchisement and flagging self-esteem felt by many Maori, with messages and symbols of hope, strength, and celebration." Her publisher, Reed Books, says that Robyn Kahukiwa has been painting and exhibiting art that celebrates contemporary socio-cultural issues that are "central to the Maori experience in Aotearoa New Zealand today but equally relevant to all indigenous peoples of the world; ranging over issues such as colonialism and the dispossession of indigenous people, motherhood and bloodties, social custom, mythology and political activism. " Current head of Elam School of Fine Arts at the University of Auckland, past Museum of New Zealand's Director of Art and Visual Culture and honoury Kaitiaki Maori (Curator of Maori Art at the Christchurch Art Gallery) Jonathan Mane-Wheoki has written of Robyn Kahukiwa that "No contemporary Maori woman artist is better known than Robyn Kahukiwa. Her images fit simultaneously into four different cultural contexts, those of Maori women's art, contemporary Maori art, contemporary New Zealand art and international indigenous art." It's not just New Zealand art critics who laud the work of Robyn Kahukiwa. Leading British art critic and prolific writer Edward Lucie-Smith has published more than a hundred books in all, including more than sixty books about art, chiefly but not exclusively about contemporary work. He is generally regarded as the most prolific and the most widely published writer on art with sales for some titles totaling over 250,000 copies. A number of his art books, among them Movements in Art since 1945 , Visual Arts of the 20th Century, A Dictionary of Art Terms and Art Today are used as standard texts throughout the world. He has written extensively about Kahukiwa's work and sees both Gauguin and Deigo Rivera as key figures in the context of Robyn Kahukiwa's work. Like Rivera he sees Kahukiwa walking a tightrope stretched "between the desire to produce something that not only seemed indigenous but actually was so – in other words something true to a fundamental notion of [Maori-ness] – but also something comprehensible within the conventions of post-Renaissance European art." Lucie-Smith writes "when one looks at the evolution of her work one sees not only a restless exploration of new media and new ways of making art, but a determination both to make emphatically public works, which speak not only for herself but for the whole Maori community, as well as others designed primarily for private contemplation, Kahukiwa is one of a small but highly original and influential group of women painters of Maori descent who have greatly extended the range of recent New Zealand art, they have been able to speak to both communities – Maori and Pakeha." Robyn has already had the honour of two nationwide touring solo exhibitions of her work, Wahine Toa (1983) and Mauri Ora (2002). We are delighted to stock both Robyn's smaller, more affordable, series of limited edition screenprints on handmade paper and all three of her larger scale prints that are currently available in the Robyn Kahukiwa collection and all of Kahukiwa's prints are featured in our Maori art gallery. Please note however that there is only one print of Tino Rangatiratanga Tiki left in the edition - please order promptly to avoid disappointment.